What do you give a gifted kid for the holidays or birthdays or any other random time? I’ve put together this gifted kid gift guide to help you with ideas for yourself or grandparents or anyone else who is trying to share gifts with the gifted. I have an entire Amazon page where I share loads of ideas for parents and kids, so feel free to browse there for all the ideas, but not everything I suggest can be bought on Amazon (or at all). 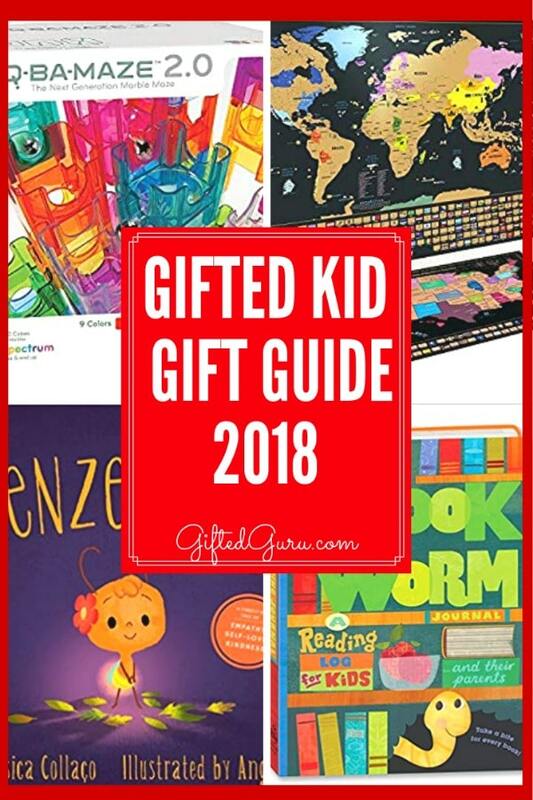 I’ve divided this gifted kid gift guide into categories, and I hope you have as much fun with it as I did! If you get them for yourself, I will not judge you. Most gift guides focus on things tangible items, and I’ve got that, too, but I know that some of the very best gifts are those that create memories and build relationships. a coupon book of monthly experiences, kind of like the fruit-of-the-month club. 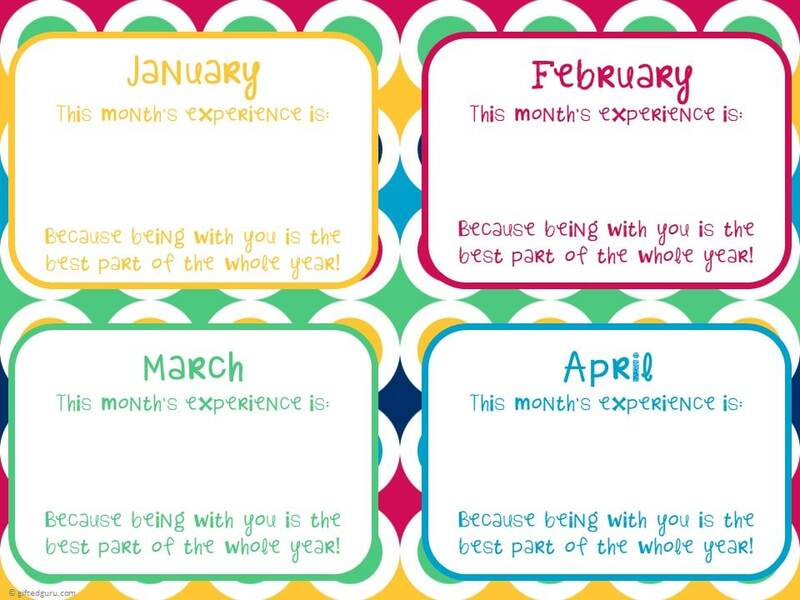 I made a free editable PowerPoint printable you can use with a coupon for each month. movie night – your choice, unlimited popcorn! Feel free to repeat experiences. You don’t need twelve unique ideas, necessarily. I designed this for adults to give to kids, but I think I’ll tell my husband it’s what I want this year! There are lots of books on my Amazon page, but I want to highlight some with gifted characters for this gift guide. I also think that a gift is a nice time to give a nice copy. Some books are made even more special by the edition. I wrote about my copy of Little Women, and the physical book itself is part of the joy it holds for me. My gifted son says that giving him books is like giving wood to a fire, so here are some ideas to light up your young reader. These are in no particular order – just how they came to mind. 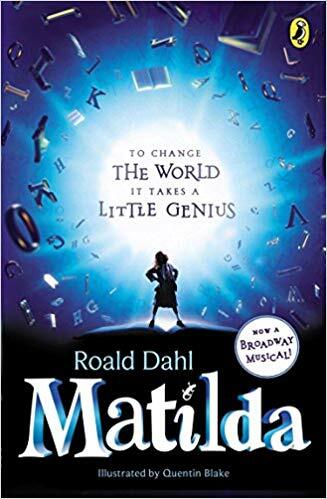 Matilda by Roald Dahl: No one harnesses the power of the darkness in the young gifted mind like Dahl. All of his books are great (including the vastly underrated Danny the Champion of the World), but Matilda is where I’d start. This version is the Broadway musical tie-in, and I think the cover is quite engaging. 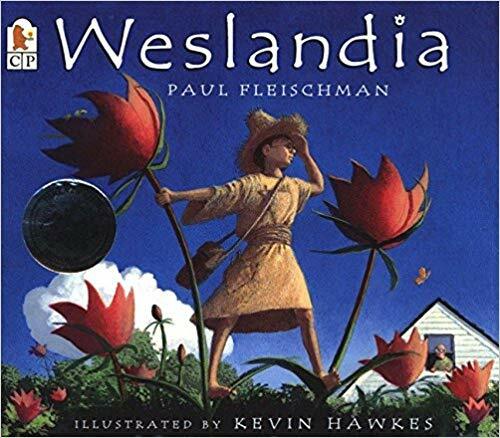 Weslandia by Paul Fleischman explores what happens when a child is marginalized (even by his parents) for not fitting in and then creates his own world that everyone else then wants to join. I love, love, love this book, and it was a particular fave of my 3rd grade class. 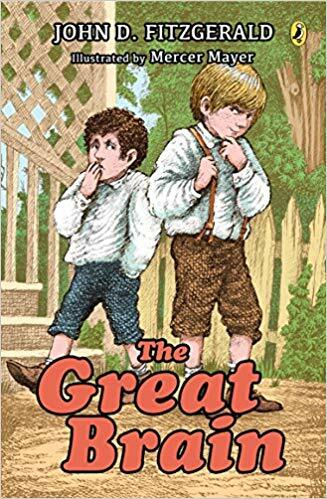 The Great Brain by John Fitzgerald: Fitzgerald wrote seven of the Great Brain books, and they are oldies but goodies. I’m kind of sad that a generation of gifted kids is growing up without these books. Let’s fix that. 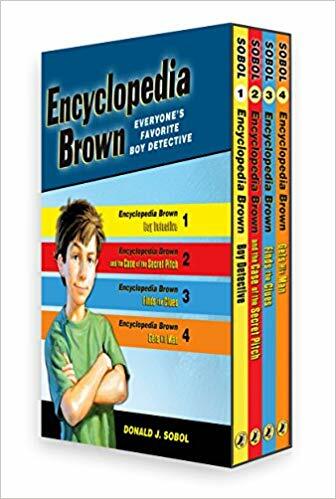 While we’re on the subject of oldies that shouldn’t be forgotten, let’s throw the Encyclopedia Brown series in here as well. One benefit of both of these series is that they are just that: series. It’s often a series that really turns a kid on to reading, and these are two great ones. Donald Sobol wrote 28 books about this detective, so that should keep your reader stocked for a day or two. 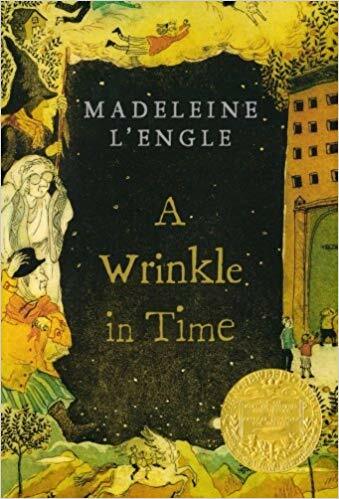 A Wrinkle in Time is the book that made me realize I wasn’t alone in the world. The debt I owe to Madeleine L’Engle is as endless as the sea. The book makes a terrific read-aloud, and it has strong male and female characters in Meg and Charles Wallace, which I love. 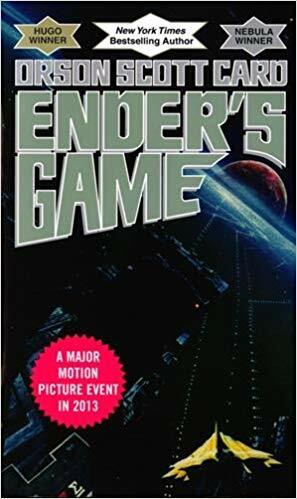 Ender’s Game by Orson Scott Card is one of those books that when you bring up in a group of people who’ve read it, it’s like playing the trump card. “Oh, yes, Ender’s Game,” they’ll say. “You win.” It’s science fiction, gifted, cruel sibling, nice sibling, saving the world goodness. All in one. 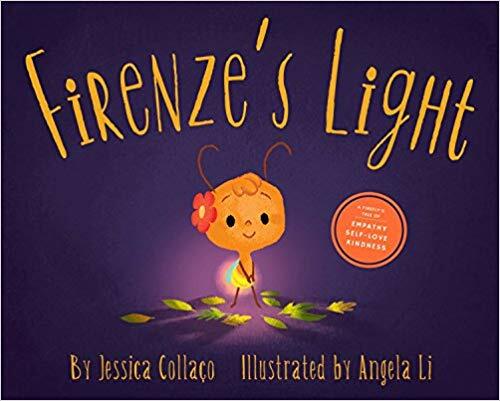 Firenze’s Light is a picture book with which you may not be familiar, but it’s worth adding to your shelves. It’s a terrific exploration of how your difference can become your greatest asset. It’s a great story, and it’s got darling illustrations, too. We need more of this: books with gifted children of color. 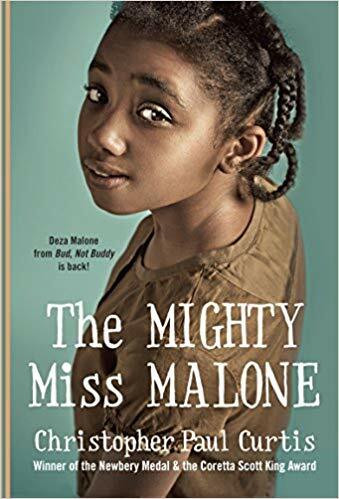 The Mighty Miss Malone is a great period piece (set in the Great Depression) written by the author who gave us Bud, Not Buddy. You know how I said that gifts can be a nice time to give a glorious edition of a book? Well, here goes! 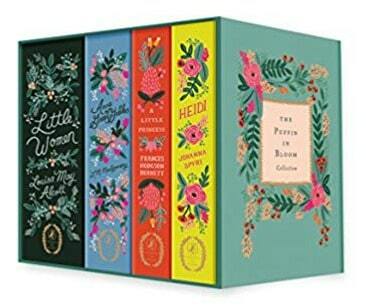 Puffin is printing some truly gorgeous versions of classics. These are the Puffin in Bloom series (you can get them individually, but I love, love, love this set). It’s not just feminine books that are coming out in lovely editions. 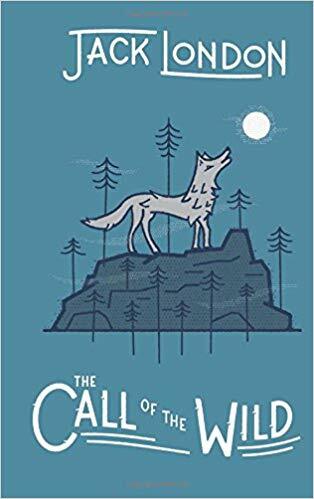 There are some modernized vintage (I know that sounds like an oxymoron, but trust me) versions of some great classics with male protagonists, like this Call of the Wild version. 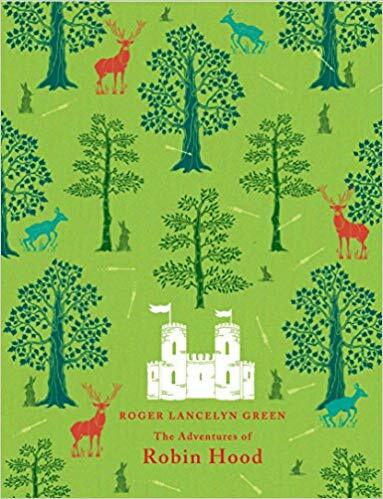 I love this version of The Adventures of Robin Hood, too. I could go on forever! Okay! I’m stopping! 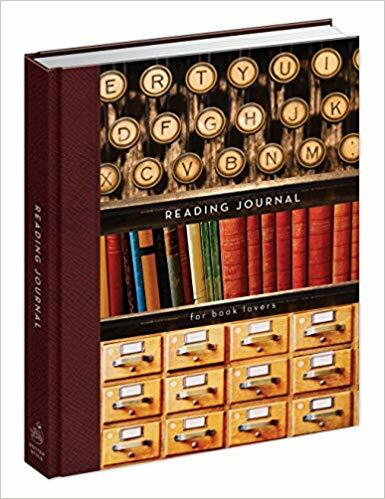 I’m also sharing some bookish goodness for the book lover in your life. 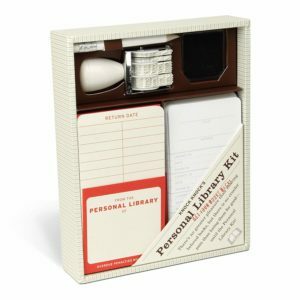 This personal library kit is my dream come true. Oh, man, this is so cool. I want all of the things Litographs makes. 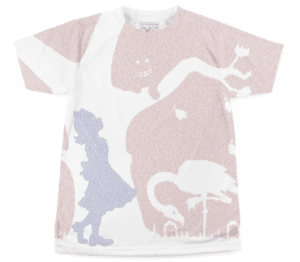 For example, gaze if you will upon this tshirt of the full text of Alice in Wonderland. The full text. Not an Alice fan? No worries. They have over 200 books from which to choose. Not a tshirt fan? No worries. They have dozens of things (blankets! posters! pillows!) with your fave book printed on them. 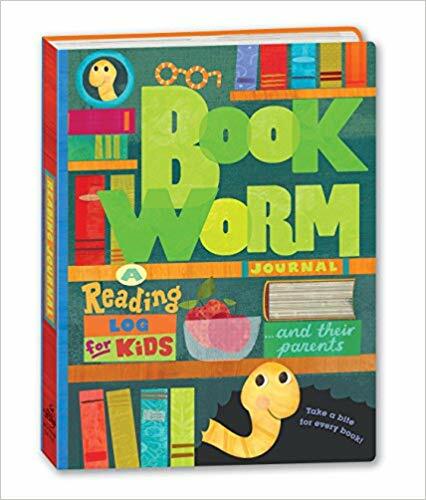 For more ideas on this, check out my article on how to get kids to read. I’ve got a list of great stuff under Tip #11. I’m putting these in age-group bands, but one of my absolute favorite things about gifted kids is that they are as flexible with the ages of toys as they are with the ages of friends, so don’t be put off by the age suggestion. The most important thing of all is to pick a toy you’re willing to play with too, because time with you is the most important thing of all. 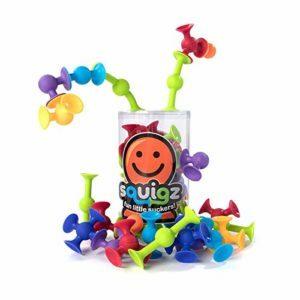 Squigz is one of those toys that works for babies (literally, it’s safe from three months!) and grown-ups. 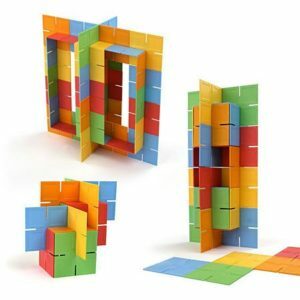 The premise is that it’s a building toy that uses suction to attach to the other pieces, as well as the window, the door, the car… you get the idea. When they’re connected, they make a satisfying POP! when you pull them apart. I may or may not be able to play with these for hours. Hear me out on this one because you might think it sounds kind of weird. 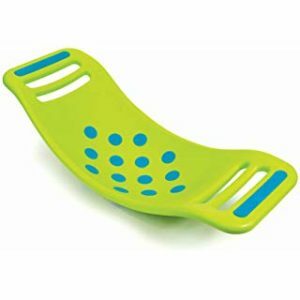 It’s a suction cup teeter totter called a Teeter Popper. I may be obsessed with suction cups. You can stand on it (well, I can’t because the weight limit is 110 lbs., but maybe you could) and rock it, or you can sit on it and rock it. I love it because of its suction cups on the bottom that pop, and also because our GT kiddos often have surplus physical energy. Have you ever noticed that? Yes? Oh, how I love Crazy Aaron’s Thinking Putty. I love all of the colors and varieties, and I’m recommending the magnetic one here because it’s … a magnet. Yep. Of course, the mood one that changes color is cool, too. It’s a lovely silent toy for cars and planes and grandma’s. 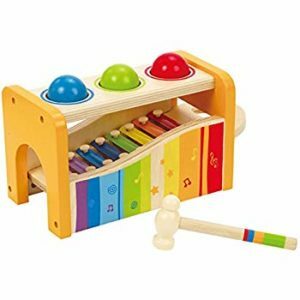 This pound and tap bench with slide out xylophone has won a prize for the earliest safe musical toy for children from age one. I love that. Because the xylophone slides out (you can kind of see the handle on the right), the child can wander around with it. This is what my own infant granddaughter is getting from me. She’s only seven months old, so no need to try to keep a surprise. I’m mostly giving it to her so I can play with it, but no shame. 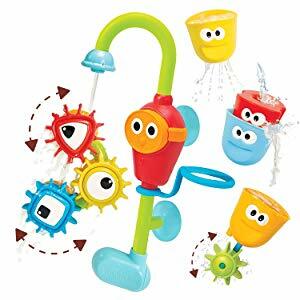 I love this toy that makes bathtime like a fun factory. It says ages 3+ (probably for choking? ), but the pieces are pretty big, and I’d definitely use it with younger kids. Only problem? Kid’s never coming outta that tub. Dado Squares are so flexible, and they can grow to epic proportions, which I love. Need a bed for fifty stuffed animals? Gotcha covered. Need a home for a squirrel skeleton you found in the woods? This is your toy. 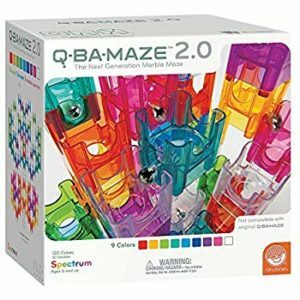 I’ve known Q-BA-MAZE 2.0 since it came out, and I’ve loved it just as long. When I was running Mensa’s summer program for gifted kids, this gloriously colored marble maze construction set was a hit, hit, hit. It just keeps getting better and better. I especially like that you can add on, so you don’t need more and more different toys; you can make this one more complex. 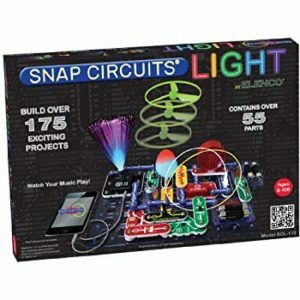 Snap Circuits are another Mensa kid fave. All of the sets are great, and this lighted one was perhaps the most popular. Building real electric circuits? Sign me up. Or, in this case, light me up. 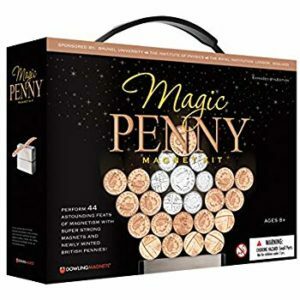 This Magic Penny Magic Kit could be used by younger ones, too, but I’m sticking it here because I think we stop giving older kids (tweens and teens) toys, and I think they like to play, too. This one is super fun. It’s science of course, and it’s also pretty amazing to watch. There are 44 suggestions included, but the sky is really the limit when you get magnets and metal together. So pens may not seem like a toy per se, but hear me out. 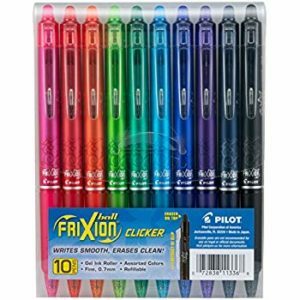 These amazing Frixion pens are not only gorgeous colors and fully erasable (Yes, Virginia, there is a Santa Claus), but the ink also comes back when you freeze the paper after you’ve erased it. You’re welcome. 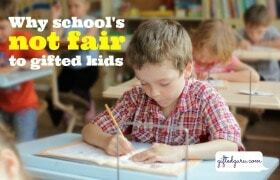 Give kids the gift of their future. Especially when kids are young, it’s important to remember that the box is as big a bonanza as the gift inside (and may last longer). I’m not a financial advisor, so this is suggestion, not formal financial advice. setting up a 529 or other college savings account that can be used for further education. 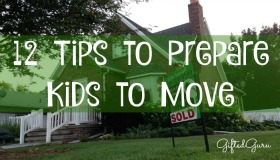 Grandparents can set them up, and you don’t have to use the one in your state. For instance, we live in Texas, but our son’s 529 is in Utah‘s plan. Check this list to compare the plans in different states. setting up a custodial account to invest on behalf of the child or let them invest their own money while under the protection of an adult guiding them. Although my personal retirement accounts are with Vanguard, I actually recommend Schwab for this, as they have exactly zero fees (yep) to open the account, and no minimum. The per-trade fee is also low. helping them track their travel. 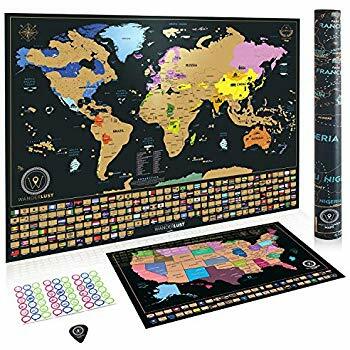 There are several versions of these maps that let you scratch off where you’ve been (which I like better than pins). I was so excited to see many of my favorites among your book recommendations, but ESPECIALLY excited about The Great Brain series! I loved the mischievious and creative ideas he came up with as a kid and agree that many are missing out on a terrific series.